There is great expectation for 2008's edition of the international kermesse "Brau Beviale", taking place in Nuremberg, Germany from the 12th to 14th November. The exhibition is the ideal occasion to understand the market trends, know the last technical innovation offered by the packaging specialists and take the best investment opportunities. SMI will present his solutions for the secondary packaging, that can optimize the food and beverage bottling production plants. 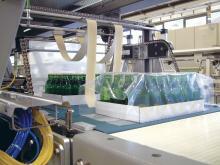 In particular SMI will be exhibiting a LSK 35 shrinkwrapper suitable for production up to 35 ppm. The LSK series features a new, simplified modular design, which ensures wide operating flexibility and high personalization of the packaging. 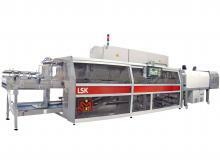 LSK shrinkwrappers meet the market's most complex requirements, by handling different types of containers with a wide range of diameters, from 50 to 200 mm, in different configurations (film only - pad+film - tray+film - tray only) according to the selected machine model. We look forward to meeting you at our stand in order to show you all the potentialities of this series and introduce our last innovation.